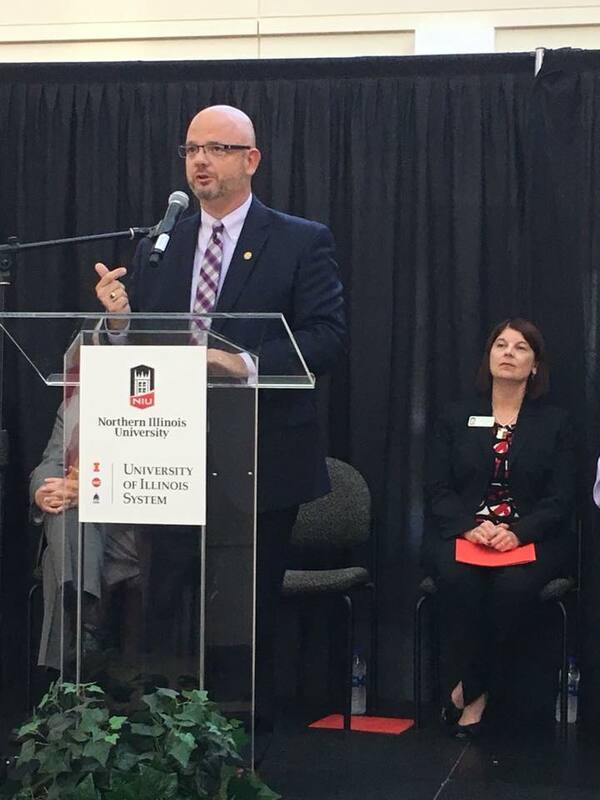 Rep. Keicher joined NIU President Lisa Freeman in DeKalb on Tuesday to speak on the importance of NIU joining the Illinois Innovation Network. Northern Illinois University (NIU), already home to many centers of graduate education and research, has announced plans for a $23 million business-development incubator and innovation center. NIU will construct the center to serve as a hub of the Illinois Innovation Network, the growing web of broadband-linked innovation centers being set up in locations throughout the state. Much of the center’s construction cost will be funded by NIU, by gifts made to NIU, and by private investments made by venture capitalists.